Whether you’re in public relations or marketing, communications measurement is a topic that you’re probably concerned with for many reasons. And rightly so. You want to make sure you’re spending your time and money wisely. Measuring your impact is the best way to do that. But how can you measure your work? Before we get into some practical tools for measurement, it’s important to know what you need to measure and why. We bring this up for two reasons. First, you need to understand what you’re evaluating. Second, you need to know what you should and should not measure. Because you don’t need to measure everything. You should measure only what really matters. In many ways, these answers are more important that the tools themselves. So, really take some time early on to determine what’s most valuable to you and your organization. And then put a plan in place to measure those aspects. Also, while it might seem obvious, your organization must be willing to embrace communications measurement. In our experience we’ve found that many clients want to evaluate communications effectiveness, but then leadership or business units can’t—or won’t—articulate what success looks like. Your leadership must be willing to not only measure what matters but also share those targets with others. Without this information, you can’t do your job effectively. Another aspect to consider is communications measurement outputs versus outcomes. For any goal, you can easily establish outputs. By outputs, we mean how many people attended an event, how many newsletters were distributed, and so on. But outcomes can sometimes be harder to determine. As one example, think about what behavior change resulted from a specific article within your newsletter? You need leadership’s support of the strategic communications function to determine outcomes for two reasons: They establish the business objectives and they set, or at least support, budgets. It’s easy to figure out how many newsletters you distributed. But it’s much harder to measure the true impact of your newsletter. Understanding the impact of a newsletter, for example, involves evaluating a variety of aspects. And those often require more rigorous research. Research that often requires budget support. Which first requires leadership support. You get the picture. Now, this isn’t to say communications measurement outputs aren’t important. After all, if 100 people attend an event, you’re more likely to elicit more response or behavioral changes than if just one person attended the same event. We’re simply suggesting that outputs should not be your only measurement stick. Number of calls from those who have directly experienced noncompliance to report situations of noncompliance. Number of calls from those who have not been directly impacted, but who witnessed noncompliance. Actual documented number of situations of noncompliance. Reports of noncompliance during exit interviews. So, what if all the above are zeros? Is it time to pop the proverbial cork on the bottle? Well, maybe. Before celebrating, look deeper than the raw numbers. Suppose, for example, the above are all zero and you’ve recently done an employee engagement survey that shows engagement and trust within the organization is very high. If so, you might have a reason to feel fairly confident in your results. But what if that same survey showed very low engagement and/or poor organizational trust? That could point to something more troubling. People may not be reporting compliance violations because they’re apathetic or don’t trust management to do the right thing. Just be careful not to take the results at face value but, rather, put them into context with other information within your organization. For more information on the topic of organization trust and the impact of internal communications, check out our three-part series on employee engagement and building trust: two-way dialogue,employee recognition and authentic communications. Okay, so let’s get down to brass tacks. How can you checkpoint your work along the way as well as at the end? It depends on what you’re tracking. Tracking tools such as Constant Contact and similar applications and attendance clicker devices and physical count that tally the number of callers, visitors or attendees over a specific timespan (e.g., daily, weekly, etc.). Number of items distributed. Distribution really means the quantity of an item printed minus how many materials are remaining after a certain point in time. For example, a quarterly magazine distributed on-site is less likely to be picked up by people after about two weeks. NOTE: If you mail at item home, the only way you can really evaluate whether people “picked it up” and read it is by doing a readership survey. Number of articles picked up by local newspapers. Number of mentions in social media. Amount of click-throughs on your intranet, blogs and other digital measurements. There are many more examples we could share. But the bottom line is: Outputs might impact a person’s knowledge, awareness and perhaps basic interest of your product, service or organization. But there’s no guarantee. Revenue such as the number, amount or volume of purchases of your product or service. Revenue such as the number and amount of donations to your organization or cause. Or, perhaps the level of increase in a certain type of donation or source. Changes in position, attitude or opinion as result of your communications. For employees and membership, look at retention rates. How well you retain staff and customers is a behavior choice. In other words, they’ve chosen not to leave. Outcomes show a change in a person’s behavior. They’re best measured by informal and formal research methods. Now, your communications or marketing work is often not the sole reason for a sale, donation, etc., but it is a contributing factor for sure. And that’s what your research can uncover. Polls: While the outcomes of a poll are not statistically valid, polls can give you a high-level sense of how your messaging is impacting your audience. Surveys: Surveys can be qualitative or quantitative in nature. To learn more about the difference between these two, check out our blogpost on research methods. You can survey your audience to determine the level of awareness, understanding and change in behaviors at predetermined intervals during a campaign. You can also do readership surveys, which assess the readership of a specific publication or material and what action readers have taken as a result. Interviews or focus groups: Sometimes the best way to find out what people are doing or not doing in response to your communication efforts is to ask them face-to-face. Again, such tools are not statistically valid, but they can uncover audience insights that can guide you or point to additional research that you can do to get at root perceptions. And today’s focus groups don’t need to involve physical presence. Many focus groups can be conducted online or by telepresence. Again, for more information on this topic, read our blog on research. If you’d like to take a deeper dive on measurement tools, check this out. It’s a little dated and a little heady, but still a goodie. Communications measurement isn’t hard, but it does require some forethought. 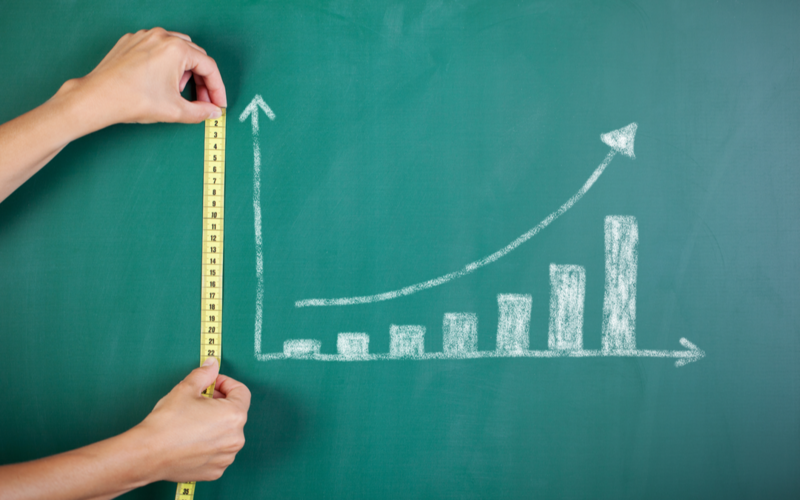 By implementing a variety of measurement tools, you’ll be taking a series of small steps that can lead to big gains. If you’d like more information on how to integrate measurement into your work and other tips on strategic communications, sign up for our e-newsletter. We promise not to clutter your in-box. We push out one newsletter per month that is a roundup of some of our most popular blogposts.